Sooner or later, plant disease will enter your garden. However, there are ways to reduce disease in your garden and in some cases, even prevent plant disease. Knowing how to tell if a plant is healthy, picking disease resistant plant varieties and being able to identify the primary types of plant disease are all ways to help control plant disease. There are multiple ways we can practice environmental stewardship and go green in our own little corner of the world. Eco-friendly ideas and suggestions come to the forefront every day. Many of those ideas can be applied to gardening. 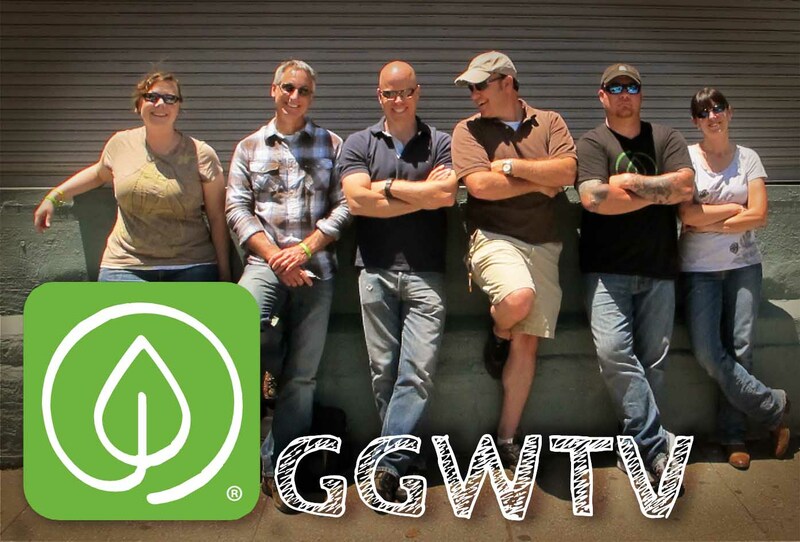 As we strive to offer smart resources for better gardening we will accumulate those ideas here. We welcome your input as well. 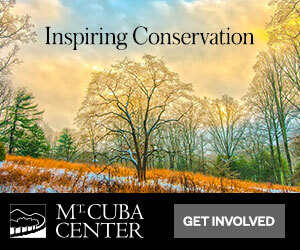 Please feel free to use the contact us form to share your eco-friendly practices. We will post as many as we can in this section of the website. Because gardening is part science, making sure you have the right mix of nutrients for your plants is vital to your garden’s success. 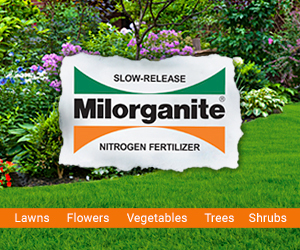 Whether you choose to garden organically or traditionally, fertilizers add desirable nutrients to the soil. Understanding what the numbers on the fertilizer package mean will help ensure your plants receive the proper balance they require. Properly balancing the use of chemicals in your garden to fight pests is important also. You may choose only organic pest control methods, using botanical insecticides, or opt for synthetic pesticides. From annuals to perennials, flower gardening can be a world unto itself. Whether you’re starting flowers from seed, landscaping with flowers to add a splash of color and personality, or just trying to understand the difference between an annual vs. perennial, give your garden the best possible start by checking out the flower gardening tips below. Happy growing! 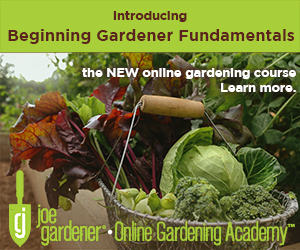 Finding “Smart Resources for Better Gardening” is something we take very seriously here at joegardener.com. From the annual list of The Best of the Must-haves, to products that cross our paths nearly every day, we are constantly on the lookout to bring valuable, innovative solutions to make your gardening life more enjoyable and productive. Take a look at some of the products we’ve listed below that have peaked our interest along the way. A beautiful garden usually attracts more than an impressed neighbor. Only hours after planting, you may find that insects and pests are just as taken with your garden as you are. Although there is no way to eliminate pests all together, there are several things you can do to cut down on the number of unwanted visitors to your garden. From Integrated Pest Management (IPM), botanical insecticides, organic and synthetic pesticides and insecticides, to barriers, numerous pest deterrents can be easily purchased or made. Having a beautiful yard can sometimes seem like an impossible task. Although many beautiful landscape designs require a large commitment of time, there are simple things everyone can do to improve curb appeal. Here are a few landscape design tips you can do to make your yard the envy of the neighborhood. For many of us, our lawn is the biggest garden we have. Whether you have warm season (Zoysia, Bermuda, Centipede or St. Augustine) or cool season (Fescue) grass, maintenance on any turf is very similar. Lawn care basics include knowing when to fertilize lawns and how to fertilize lawns, along with an understanding of disease control in turf and lawn weed control. All are important steps in establishing and maintaining a lush green lawn. The use of natural products to improve the soil and fight pest and disease, are all part of organic gardening basics. 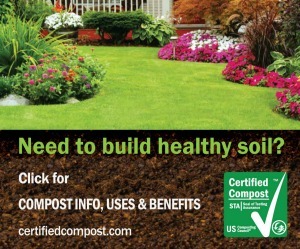 Soil amendments like compost, manure, and natural fertilizers are included in the list. By eliminating man-made and synthetic products from your gardening regimen, you can create a safe and biodynamic garden. No matter where you live, gardening is a year-round activity. Oh, certainly in many parts of the country winter snows blanket the ground but gardeners are busy planning for spring and tending to plants indoors. Fall colors can be every bit as stunning as a beautiful spring border. And, summer presents its own set of challenges. Hopefully these articles will teach and inspire you no matter what the season. Whether you’re looking for leaf color, bright or fragrant blossoms, fruit for eating, or simply a feast for the eyes, trees and shrubs can fit the bill. Like other plants in the garden, trees and shrubs need care and maintenance too. Trees and shrubs are vital to any well-balanced garden. They add height and depth and create just the right punctuations when needed. They are available in every size and shape and include evergreens and deciduous varieties. The articles below will help you get the most out of these important contributions to every landscape. You don’t have to have a huge green thumb or an aversion to store-bought veggies to enjoy your own home vegetable garden. What tastes better than an heirloom tomato, or any homegrown vegetable? It doesn’t matter if you’re just starting a vegetable garden or looking to dig deeper. 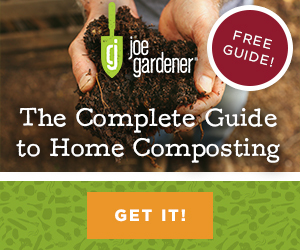 Here, you’ll find plenty of information, from a vegetable gardening overview, to organic vegetable gardening, harvesting techniques, pest and disease control, and much more.